If you're new to Fellowship Bible Church, take a minute to get to know us. Whether you join our family of faith or another, our greatest hope is not that you would simply check boxes in your faith journey, but that you would follow Jesus wherever He leads. We want to help in any way that we can. Services at 6:00 (sunrise service, no childcare), 7:30, 9:00, & 10:30am; 12:00noon (no childcare for the 6:00am and 12:00noon services). Services at 3:30, 5:00, and 6:30pm. Childcare is available for Nursery through Pre-K children for the 3:30 and 5:00pm services. 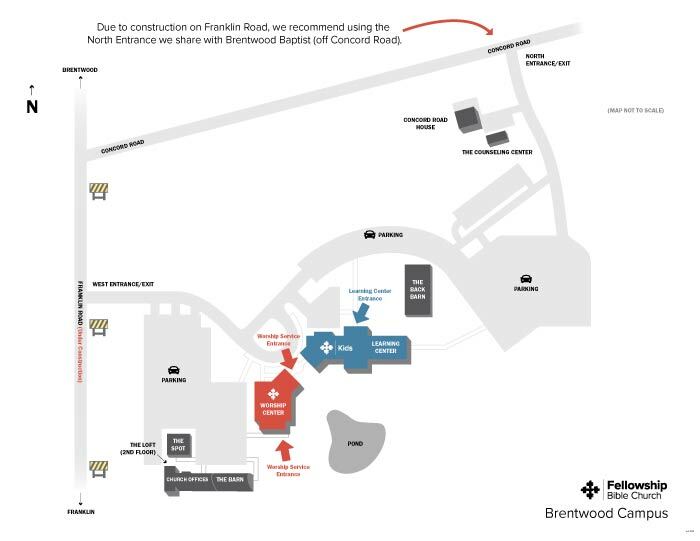 Due to heavy construction on Franklin Rd., we recommend using the Concord Rd. entrance which we share with our neighbors at Brentwood Baptist (see North Entrance on map). 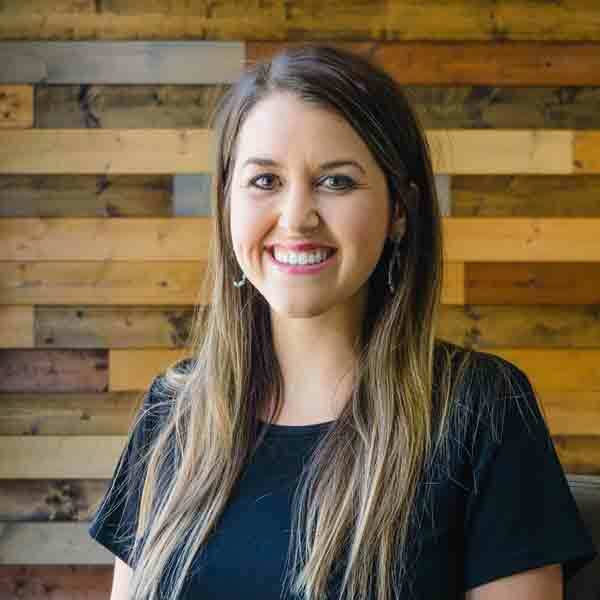 Lauren Young, our Guest Connections Director, would love to help.